A pioneer in fair trade fashion, Carry Somers founded Pachacuti in 1992. Pachacuti means world upside-down in Quechua and our designs demonstrate that it is possible to create beautiful clothing and accessories which benefit the producers, preserve traditional skills and are environmentally sustainable. 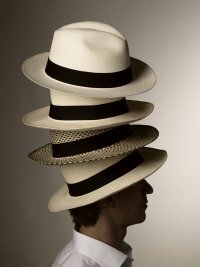 We specialise in Panama Hats, supporting the weavers through community development projects. Our other product lines include hand-embroidered childrenswear, alpaca knitwear, hand-painted cotton clothing and felt slippers, all produced by co-operatives and community groups in the Andes.